The Gentleman and the Lamplighter is a historical romance NOVELLA about two men from different worlds who find acceptance - and red-hot passion - in each other's arms. From Summer Devon, who writes "gay Victorian romance with emotional tension" (Publishers Weekly). This short story is sweet and enticing enough to grant listening to it in one go. Mr. Fullerton and Mr. Banks, who seem so different from one anpther, as far as social norms go, start talking to each other and discover rhey have really so much more they share. A sweet story narrated wonderfully. Poor Giles is having a hard time getting over the loss of his longtime schoolmate and first lover. Its been a year and only when meeting John the imaginative and full of life lamplighter does Giles realize he wants to move on. I really loved the inner thoughts of both Giles and John. Getting to follow Giles on his journey in excepting the difference between what he had in the past and what wonderful things he could have in the future with John was a nice treat and I’m grateful for Giles openness to new possibilities. I was pleasantly surprised with Mark James. His voice is smooth and easy to understand. The slight change in tones is a nice touch. This is my first audio by Mark and hopefully not my last. I admit that after seeing Mary Poppins Returns, I wanted to give a fiction about a lamplighter a try. This MM romance involves two people who seem to be from separate worlds but who connect in fundamental ways. Giles is grieving the suicide of the only man he's ever loved, and John is kind, gentle, and quite observant. Giles is taken by how intelligent John is, and John already knows his attraction. This story is enhanced by the performance of Mark James. John truly sounds gentle in the audio. Not weak, just... approachable. The right person for someone who has been tortured by grief for so long. This story as an HEA that I won't spoil. I didn't expect it to turn out the way I did, but the author put the clues there the whole time. I suspect for most readers, it will be a surprise that makes sense. 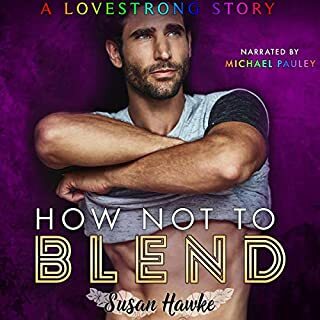 If you like MM romance that leans to the sweet side of intimacy more than raunchy, this novella is a pleasant way to spend a few hours. Reviewer's disclaimer: I was given this free review copy audiobook at my request and have voluntarily left this review. Lovely story with good narration! I Really enjoyed this short story. It's set in a time where it is not easy for 2 men to be together, but somehow you know that Giles and John will be ok in their future. Mark James does an excellent job of bringing the story to life. His narration is solid and I had no trouble distinguishing between the characters. This is definitely a great way to experience the story. I could feel the emotions in the writing and in the fantastic narration by Mark James. After listening to this I tried very hard to find other audiobooks performed by him and was unable to find any. If this is indeed his first audiobook, what a fantastic way to begin. I can be pretty critical of narrators. I've listened to a number of them, both male and female, where the phrasing and vocal inflections for the text being read were off, and therefore distracting to me as a listener. There was none of that in this book. I could see myself listening to this one again when I need something short and soothing to listen to. Listening to The Gentleman and the Lamplighter was absolutely a great way to spend a couple of hours. 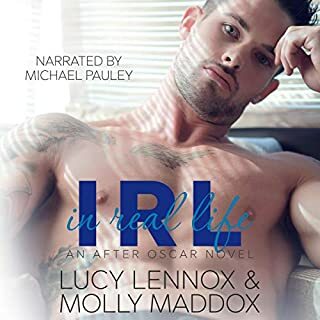 A review copy of this audiobook was provided to me but my review was voluntary and not influenced by the author. Mark James does an outstanding job narrating this lovely little gem of a story. The Gentleman and the Lamplighter is a m/m Victorian about a lonely upper-class man in mourning after the love of his life dies, trapped in a conventional marriage. 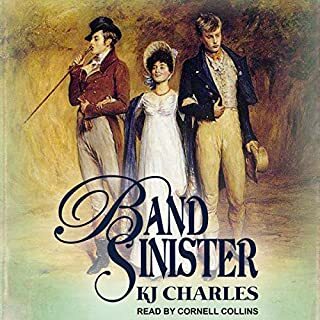 After one of his long nighttime walks, Giles meets John Banks, a lamplighter who recognizes a kindred spirit, and together they find friendship and more to overcome the darkness. Beautifully written and eloquently read, this is a touching short story for any lover of historical romance. This short story manages to pack up many an interesting topic, such as difference between classes, the need to hide men’s “unnatural proclivities”, the role of women in a society designed for men…. All those topics are intertwined in the love story between Giles and John.. The prose flows easily, the love story is engaging, and despite not being very long, there is a sense of completion. 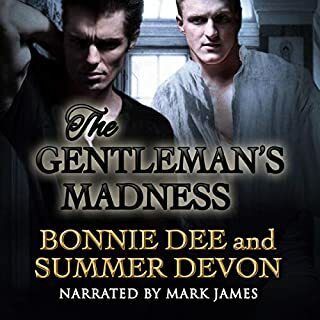 Mark James’ narration brings both characters to life, his performance reflects John bright and positive personality, and lets us see Giles more collected demeanour. I really enjoyed the secondary characters, they provide a lively background to the main characters’ love story. In short, a very entertaining story, I would love to continue listening about these two.